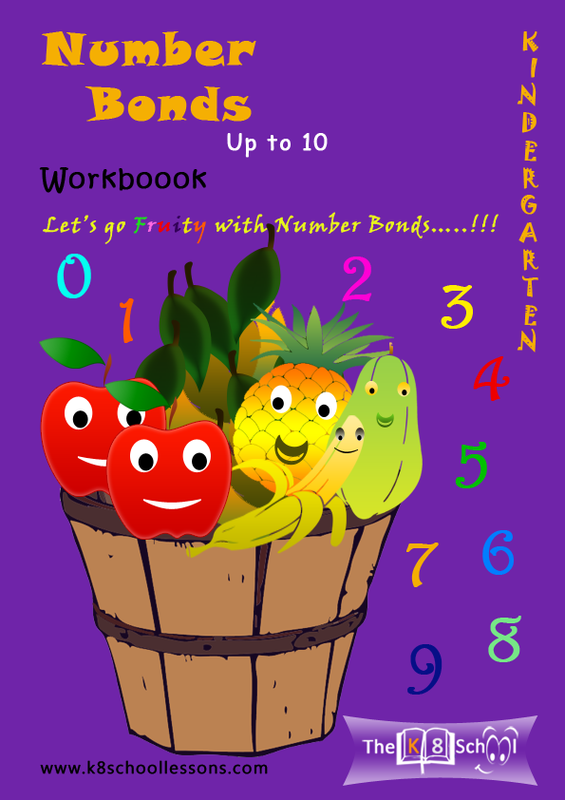 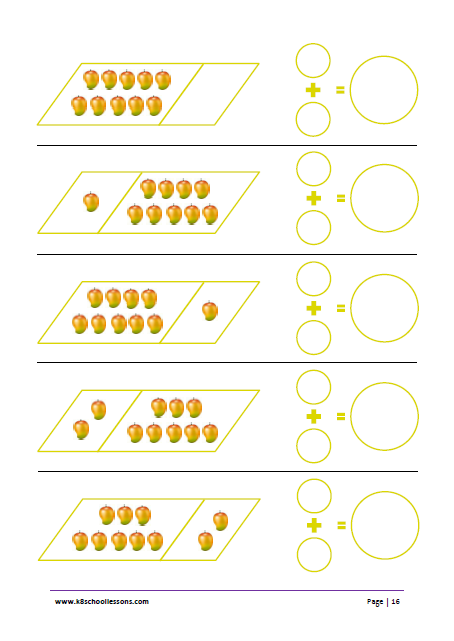 An ideal workbook for kindergarten and year 1 students to learn number bonds up to 10 with an interesting Fruit Theme. 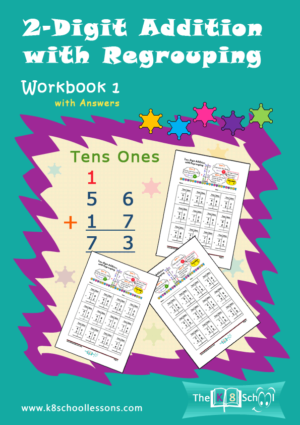 This workbook includes all the possibilities of making numbers up to 10. 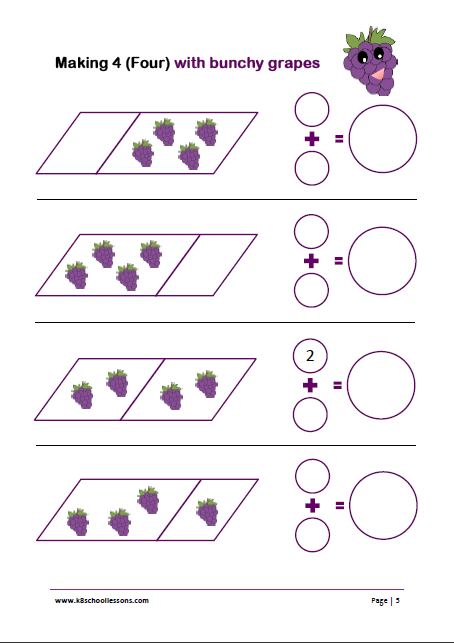 All the attractive illustrations in each activity are great visual aids for kids to get a clear understanding about how numbers get together to make different numbers. 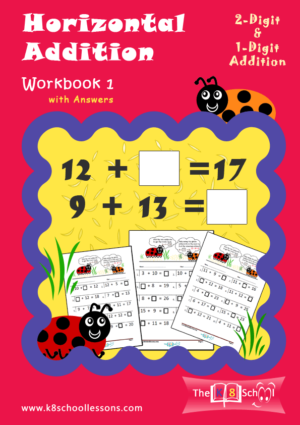 Downloadable Kindergarten Number Bonds Workbook. 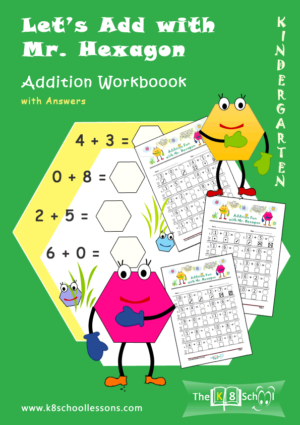 An ideal workbook for kindergarten and year 1 students to learn number bonds up to 10. 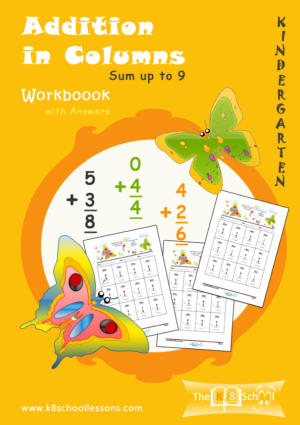 Kids will learn the number pairs that add up to a certain number while enhancing their basic adding skills and improving the speed and accuracy in addition. This workbook is designed to an interesting Fruit Theme with all the possibilities of making numbers up to 10. 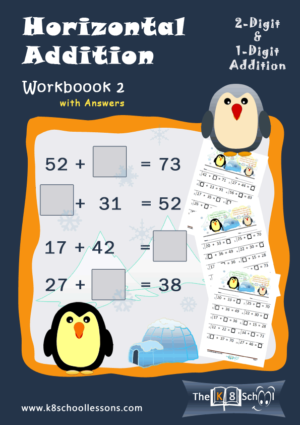 All the attractive illustrations in each activity are great visual aids for kids to get a clear understanding about how numbers get together to make different numbers.